For the gift that packs MAN-MAGIC! VISE-GRIP DOES MORE JOBS EASIER â€” THAN ANY OTHER TOOL MADE! 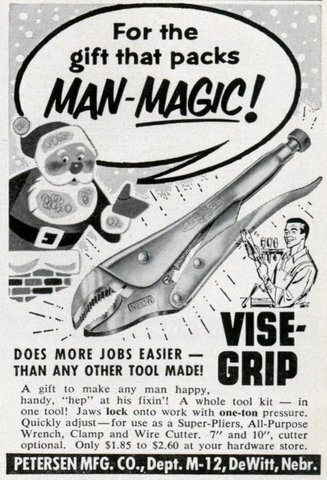 A gift to make any man happy, handy, “hep” at his fixing A whole tool kit â€” in one tool! Jaws lock onto work with one-ton pressure. Quickly adjust â€” for use as a Super-Pliers, All-Purpose Wrench, Clamp and Wire Cutter. 7″ and 10″, cutter optional. Only $1.85 to $2.60 at your hardware store. 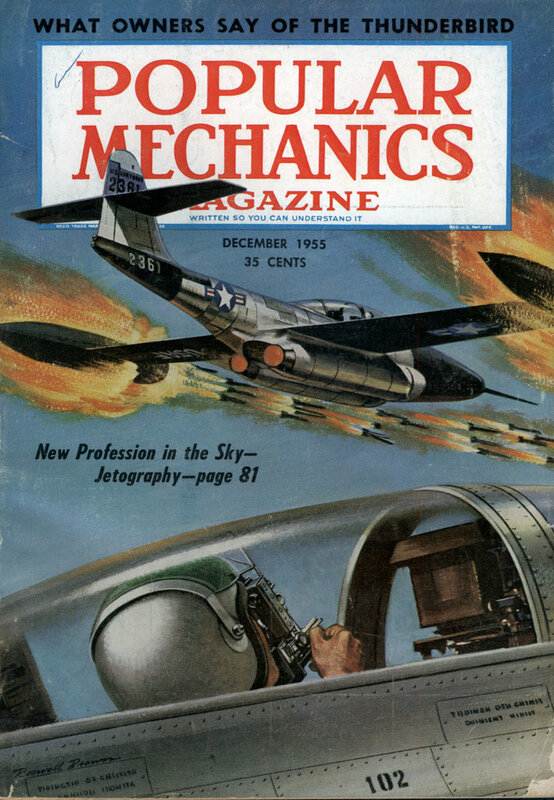 PETERSEN MFG. CO., Dept. M-12, DeWitt, Nebr.